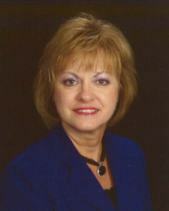 Sheila L. Williams, ACP, is a paralegal with Lewis, King, Krieg & Waldrop, P.C. where she focuses on product liability defense. She has a B.S. degree in Education (with a major in Industrial Training and Supervision) from the University of Tennessee. Sheila earned her Certified Paralegal (CP) credential in 1991 and her ACP in 2008/09. 1. What prompted you to choose a paralegal career? Soon after finishing my Associate Degree in Secretarial Science, I got married. My husband was in the Air Force and we spent the next 7 years overseas. During those years I worked as a school bus monitor, a library assistant, and a personnel clerk. I knew once I returned to the US I would finish my degree and thought I was interested in law. The assistants in the TV attorney shows intrigued me. When we moved to Knoxville, my first job was in a plaintiff’s firm as the receptionist—a great opportunity to learn by reading everything that came across my desk and asking other paralegals to explain things I did not understand. I soon enrolled in UTK’s then two-year paralegal degree. Two years later, I got my first job as a paralegal. That was in 1984, and I believe I am doing exactly what I envisioned in 1982. 2. What is your favorite part of your job? Trial!! I love all aspects of trial preparation and being in the courtroom!! The adrenaline rush!! 4. How has your membership benefited you? Professional associations are a great source for honing your skills through CLE, keeping up with legislature involving our career, and networking. I have met so many paralegals from all over the US, including Puerto Rico and the Virgin Islands. I have presented CLE topics which allowed me to practice and gain confidence in public speaking. Through NALA I have been able to keep up with trends and news within our profession. The friendships I have cultivated are priceless. 5. If someone contemplating a paralegal career asked you for career advice, what would your answer be? I would explain that being a paralegal entails more than just taking and completing assignments. Analytical ability is crucial and something that an education cannot necessarily provide. I would advise her/him to search her/his heart to learn whether there is a passion for the law. Being a paralegal and working with attorneys are not easy, and true success requires a passion for it. If you get in school and decide you don’t have that passion, cut your losses and change paths of study. There is no shame in realizing a career is not for you. Many people look at it as a glamorous career working with rich lawyers. Don’t be fooled by that misconception. 6. Is there a quote that inspires you? I can do all things through Christ who strengthens me. 7. You've enjoyed a successful paralegal career. To what single event or person do you attribute that success? When I finished my degree at UTK (not in paralegal studies), I wanted to remain in the field and wanted to work in a firm and with attorneys who appreciated my skills and knowledge. I believed I was mature beyond my five years of experience and had much to offer. I was hired at Lewis King and was assigned to work with Attorney Debbie Stevens. She very quickly saw that I was able to work without being told what to do on a daily basis. She and I worked very well for over 21 years, mutually respecting each other. We worked many product liability defense cases and trials in every southeast state. Her confidence in my abilities was just what I needed to excel. In 2010 I moved to our Nashville office and now also work with attorneys who have confidence in my abilities as a paralegal. 8. Who would play you in a movie of your life? Meryl Streep because she can humorously put people in their place. 9. What electronic device can you not live without? I’d like to try to live without them all. 10. From American history, who is your hero? Ronald Reagan – he had the courage to stand up to the opposition and turn our country around at a time we desperately needed it. Sort of like we do now. I keep praying for another Ronald Reagan. He made us proud to be Americans again. 12. If you could not be a paralegal, what would be your dream job? Independently wealthy! 13. What makes you lose your patience? People who do just enough to get by. Bonus Question: Is there one thing in the world you wish you had the answer to? Cure for Alzheimers. So many passwords...so little time!